These are very nice. Not keen on the Team Yankee game and waiting for Battlegroups Cold War Rules .By that time there should be a good selection of 15mm and 10mm models available. Then I will have the difficult choice to make. Once more, these look good to me, but after the response to the M60A3 I'll wait in case there are some vets out there that used these that want to comment on them! 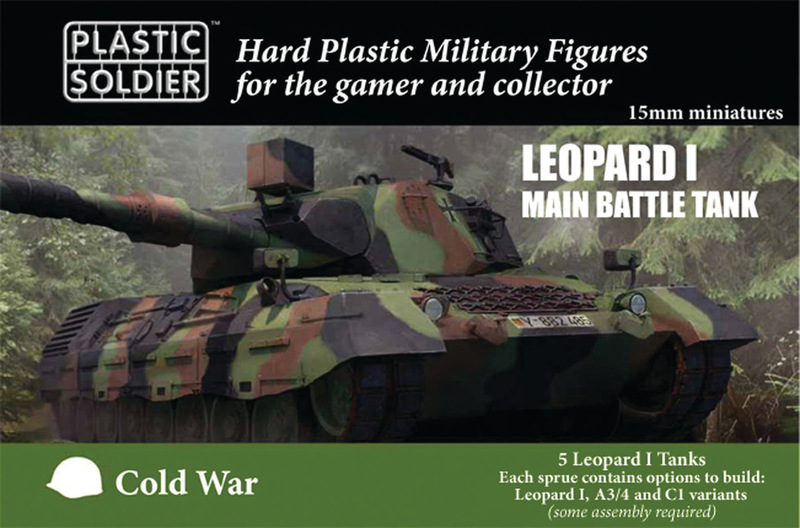 There is already a *fantastic* selection of models available in 15mm from QRF. Everything you need for all your post-war armies – so why wait? these days my choice of scale is always easy: either 6mm or 15mm. The troops don't take up much space at all but building up terrain for new scales….ugh. Well that's the reason why I am waiting. The plastics used to be inferior to metals. Now I think its the other way around. When I didn't think they would get any better they still do. I have just built some 15mm PSC German Trucks and what little beauties these are. My rules choice for the Cold War is currently still being written Therefore these will not be available for a couple of years yet. But if past history/performance has anything to go by, then these rules will be well worth the wait. 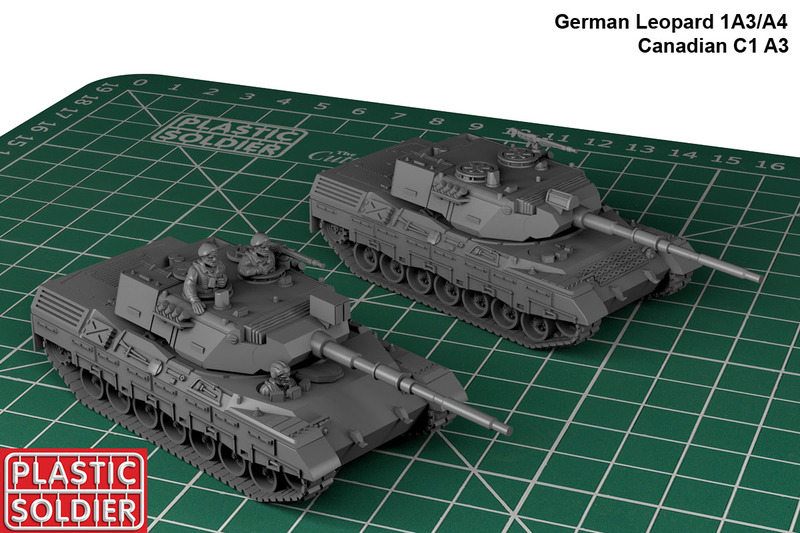 Well, if we're waiting for the OCD-brigade, what's the external differences between a Leo C1 and a Leo1? Have you seen my mind? If you find it before I get back here, would you please hold onto it for me? Everyone does the welded turret versions. Be nice to see some others particularly the 1A5. A1 and A5 coming soon! Either A1 or A1A1 would certainly be appreciated!